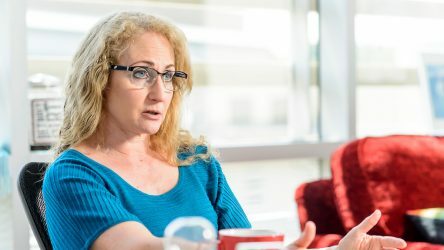 CRISPR-Cas9 gene editing of human cells and tissues holds much promise to advance medicine and biology, but standard editing methods require weeks to months of reagent preparation and selection where much or all of the initial edited samples are destroyed during analysis. 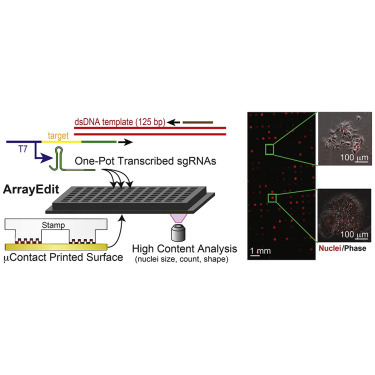 ArrayEdit, a simple approach utilizing surface-modified multiwell plates containing one-pot transcribed single-guide RNAs, separates thousands of edited cell populations for automated, live, high-content imaging and analysis. The approach lowers the time and cost of gene editing and produces edited human embryonic stem cells at high efficiencies. 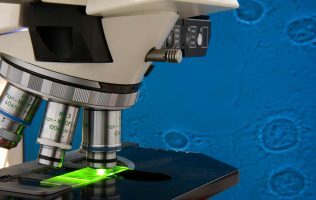 Edited genes can be expressed in both pluripotent stem cells and differentiated cells. 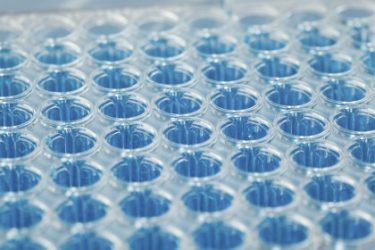 This preclinical platform adds important capabilities to observe editing and selection in situ within complex structures generated by human cells, ultimately enabling optical and other molecular perturbations in the editing workflow that could refine the specificity and versatility of gene editing. The full paper is published in the January issue of Stem Cell Reports. Saha also discussed High Content Analysis in a recent Genetic Engineering & Biotechnology News article.